KAMPALA/GULU, 23 March 2012 (PlusNews) – Uganda’s Minister of Health, Christine Ondoa, has suspended several senior health officials, including the managers of the national HIV/AIDS and tuberculosis programmes, for poor performance and drug shortages. Health centres across the country have been facing critical shortages of TB drugs in recent weeks and officials say the lives of an estimated 50,000 people have been put at risk as a result. Dr Francis Adatu, the national manager of the TB and Leprosy Control Programme, was suspended over a critical shortage of TB drugs, and Dr Zainab Akol, programme manager for HIV/AIDS, over the unstable supply of antiretroviral (ARVs) drugs. Her suspension comes one week after a national AIDS Indicator report revealed an increase in the HIV prevalence rate from 6.4 percent to 6.7 percent. Three other senior managers – Dr James Sekajugo, the programme manager for non-communicable diseases, Sarafin Adibaku, in charge of the Malaria Control Programme, and Rachael Senyange, from the UN Expanded Programme on Immunization, were also asked to leave office immediately. Dr Robert Basaza, a senior planner arrested on 20 March to assist the police with their financial investigations, was also suspended. 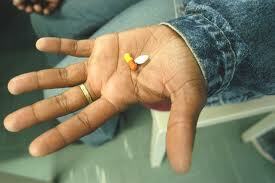 Shortages of ARVs and drugs to treat TB and malaria occur frequently in Uganda. Dr Asuman Lukwago, permanent secretary in the Ministry of Health, told IRIN/PlusNews that most public health facilities had run out of drugs due to changes in the procurement and supply responsibilities introduced by the new Public Procurement and Disposal of Public Assets Authority (PPDA) international guidelines. Drugs were previously procured by the National Tuberculosis and Leprosy Centre, but since late 2011 the procurement and distribution of drugs and pharmaceutical products has been handled by the National Media Stores (NMS), an autonomous government corporation. The new procurement policies are aimed at improving the management of the supply chain. “It’s true we have some problems… The transition will be managed. We are doing everything possible to have drugs distributed to the affected hospitals,” Lukwago said. Health Minister Christine Ondoa said the government has procured enough TB drugs to cater for 50,000 patients for the next three months. “We want to assure the public that there is no cause for alarm as there are now sufficient drugs. All patients are therefore advised to report to health facilities for treatment,” she told a recent media briefing. The procurement of medicines for the next six months with funding from the Ugandan government was ongoing she said, and the government had also, for the first time, procured second-line TB drugs for 250 patients diagnosed with multidrug-resistant TB. “The first consignment of TB drugs under the Global Fund arrangement will arrive in the country in September,” she added. Dr Nathan Nyachi the director of Gulu Hospital, confirmed that medicines were now available. “We have the drugs. I have just been collecting the hospital’s consignment, and for several other health units in the district,” he told IRIN/PlusNews. An estimated 102,000 Ugandans become infected with TB annually, and about 50,000 cases have been diagnosed and are on treatment. The country ranks 16th on the UN World Health Organization’s list of 22 high-burden countries that make up 80 percent of global TB cases.